There are a lot of claims these days about what insurance company has the lowest rates. Some insurers use catchy slogans like “you are in good hands” while other companies use animals, like talking geckos to sell their products. These emotional responses often work, but do they truly have the lowest rates? That is a question that people should ponder. Recently, Geico came in the middle of the pack on a consumer report score for policy pricing. Some people do indeed save 15% and more, while others pay 40% or more. Get a free quote from Rodney D Young Insurance and compare multiple plans, with direct online pricing that will save you more. 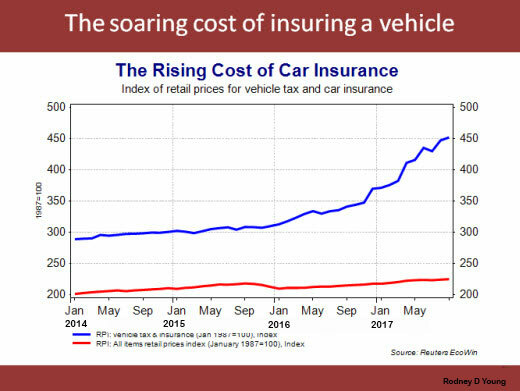 The simple truth is automobile insurance premiums have been etching up the past few years. This is due to many factors, such as an increase in claim costs and so-called “distracted driving” incidents. Healthcare costs have soared in recent years and this, of course, applies to car crashes. These medical expenses get passed down to the insurers paying claims. Consequently, they have to raise the price of vehicle coverage to keep up with the pace of these costs. Another big problem is people, especially teenagers, are driving while texting and even surfing the web. This has caused thousands of needless vehicular deaths and soaring insurance bills. The good news is quality coverage at a low rate is still possible. Check out these proven tips on how to get car insurance discounts and get cheaper coverage. 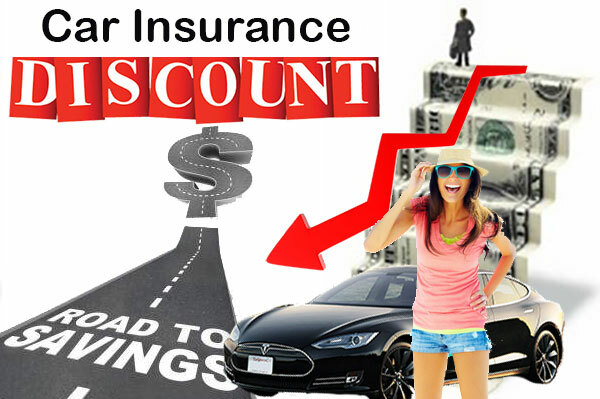 The easiest way to get cheaper vehicle insurance is to go on-line and compare several quotes. That might seem super easy, but you need to find the right website that will display multiple insurance quotes. At RodneyDYoung insurance, you can check out up to 10 quotes, and there is never any obligation to buy a policy. If you do choose to purchase, you can buy most policies online and even print out several proofs of auto insurance I.D. cards from your home computer. The new Rodney D Young website is designed to get you quoted in less than 5 minutes and help you find a policy that fits your budget. Get a custom quote on-line and see for yourself why thousands of consumers have trusted Rodney Insurance for their coverage needs. Many people do not realize that driver safety classes are available to the general public. These classes are often taught by retired Highway Patrol officers and are informative. There are many benefits to completing one of these 2 or 3-day courses. The main one is the valuable defensive driving techniques that are taught. Just one of these tips can save your life. Also, a huge plus is you can save about 10% off your auto insurance premiums, simply by providing proof that you have completed a driver safety class certification. You can take advantage of this discount each year and save even more. If you are a young driver under 25, then you should consider taking one of these classes and learn safe driving principles that will last you a lifetime. Teenagers can qualify for discounts up to 15% after completing a certified course. Teen insurance premiums are at an all-time high due to an increase in distracted driving crashes. These types of claims are extremely costly and often result in severe bodily damage or even death. Instructors will show real world examples of accidents involving teenagers that were caused by texting while driving and the severe consequences. This often deters young people from engaging in this risky and irresponsible behavior, which is good for everyone. These classes also talk about the dangers of driving intoxicated and recklessly, to name a few topics. The cost is usually under $100. That is well worth it when you consider the savings you will be getting with lower cost insurance premiums. Contact your department of insurance in your state to find classes near you and enroll right away. Are you a student that makes good grades? Do you consistently pull in a B or higher GPA? If so, you may be eligible for a good student auto insurance discount. To qualify, you need to be under 25 and currently enrolled in school or a college. You can earn discounts up to 10% just by keeping your grades up. Just email a current transcript to any insurance company you are applying to or send it to your existing auto insurer. Automobile insurance companies offer these discounts because years of data analysis shows that drivers who get good grades are safer drivers. This means fewer accidents and fewer claims is filed. Safe Driver Discount: If you have a clean driving record, you can save 15% or more. Teachers: Many car insurers have discounts available for teachers. Veterans: Many insurance carriers offer excellent discounts to current or retired military service members. Anti-Theft Devices: If you have installed advanced theft equipment on your automobile like a GPS “lo-jack” device, you can get discounts of about 5%. Get a free quote at Rodney D Young and get all the car insurance discounts you qualify for. Start your application today and get a better insurance rate that puts more money back in your pocket.